OG...a name opulent with meaning: legendary, mysterious origins lost in the mists of lore and time; a strain that retained its championship status due to its fundamental nature, with different varieties consistently awarded the recognition of all major World Cups; a straight-up indispensable weed from the point of view of its medical properties, which allow it to successfully treat stress, depression, migraines, bipolar disorder, ADD/ADHD...and, most importantly, one of the most desirable effects for any smoker - the perfect balance of relaxation and happiness, stone and high, and power as well as duration of effect. What to expect from OG from FastBuds? All of the above in superlatives! The smell of West Coast OG is a wave of freshness, imbued with the aroma of palm trees and delicate juicy-citrus tones. Draw some tart, SoCal heat into your throat. Although the smell cannot be characterized as overtly weedy, we recommend that when grown in indoors the use of carbon filters. The effect begins as a wave of euphoria, a feeling of swelling in your head. The second wave brings complete relaxation that can't be resisted, and your entire body will want to simply give in. Just a couple puffs and you'll be feeling prolonged effects that won't let you escape. But rest assured that our strain doesn't have unwanted effects such as anxiousness, dizziness, headache, and paranoia. 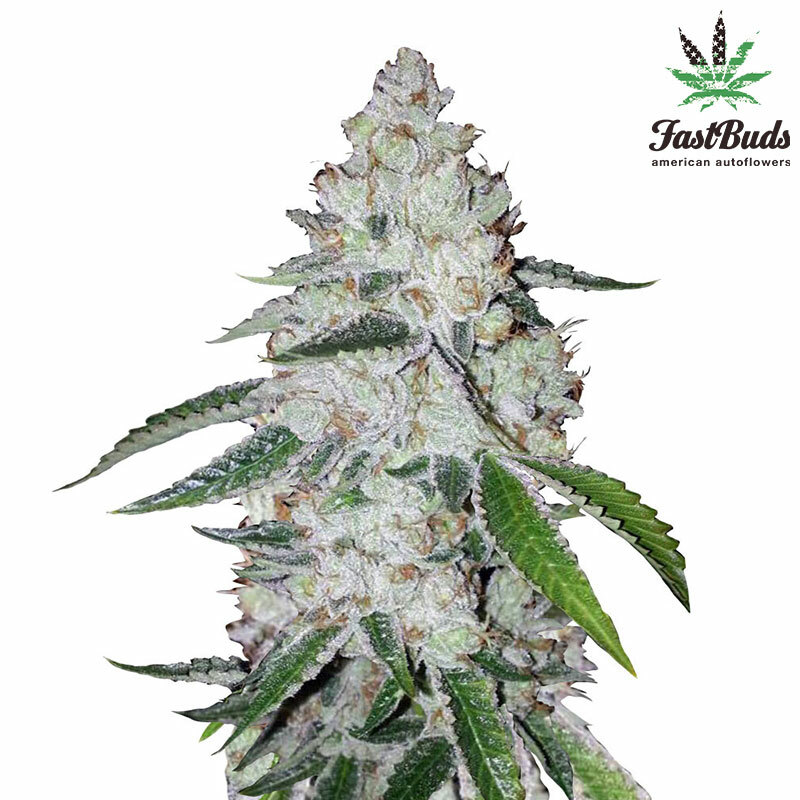 We have created an autoflowering version of the legendary OG Kush. With this strain you can taste OG Kush in all its original splendor, cut like a perfect diamond from an autoflowering rendition. West Coast OG plants are amazingly elegant and beautiful. During the initial stage of vegetative growth, it will increase in weight and height at a moderate pace, as it builds and strengthens the capacity of its root system. It then exhibits a burst of growth toward the end of the vegetative phase, reaching a height of 1 meter (3.2 ft) . It responds favorably to artificial lighting, yielding up to 650 g/m2 (1.4 pounds per light). It is quite a compact, chunky plant, and well suited to cultivation via SOG and SCROG methods. Colas reach impressive sizes, especially if you provide our OG with balanced nutrients and water, and it has the very important advantage of being able to endure the mistakes of first-time growers. The buds will develop a fluffy white coating of trichomes in the last weeks of flowering, with the trichome crystals turning amber like caramelized sugar at end of flowering. Or as we say in LA, OG is studded by sand from the West Coast. Indeed, like the infinite grains of sand on our beaches, the number of trichomes on the buds can't be counted. THC content exceeds 21%. CBD reaches 1%, contributing to the priceless medical value of this strain. Roadrunner Autoflowering cannabis seeds by Dinafem Seeds belong to a feminized, autoflowering, sligh..